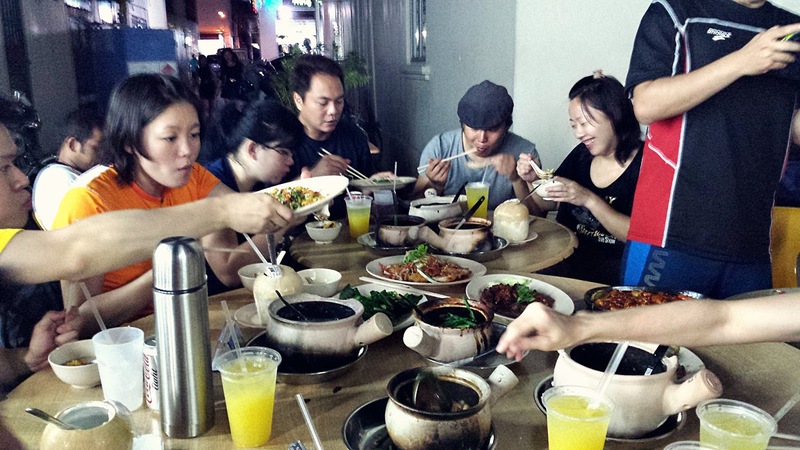 Sunday Snapshot: Frog Porridge, Anyone? Late night dinner after playing some badminton in Geylang, an area located away from downtown Singapore. Everyone began with a bowl of porridge and then added whichever entrées suited their fancy - chicken, pork, oyster omelet, and the main dish, frog. Add in refreshing lime juice and some cheery conversations and we had ourselves a great evening.